Windows, Doors and Conservatories Millennium Window Systems has been established for 20 years. With 80% of work coming from recommendations we have developed an enviable reputation. We pride ourselves on the highest quality products and fitting, whilst maintaining low overheads, passing the savings on to you. We do not employ sales people and give honest professional advice. 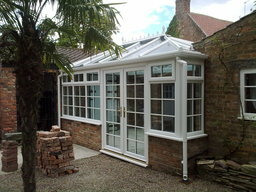 Let us help you on your next project and call us for a free no obligation quotation.